You are currently browsing the archives for the Battleground States category. Thursday night in Huntington, WVA, President Trump held a rally that was high on energy, predictable in content and troubling for the Democratic Party. Despite the spate of recent negative polling, President Trump’s army hasn’t wavered in their support of him. Here’s why that should frighten Democrats. If Democrats can’t reconnect with blue collar voters, they’ll lose in 2020 by a bigger margin than Hillary lost by in 2016. Tip O’Neill famously said that “all politics is local.” That’s definitely true. In the small towns in northern Pennsylvania, Ohio’s Mahoning Valley, Michigan and Wisconsin, blue collar voters are seeing the Trump economic plan pay dividends. In Pennsylvania, they’re creating tons of mining jobs. In Ohio, they’re creating steel industry jobs. In Wisconsin, Foxconn is creating high-paying manufacturing jobs. It isn’t likely that Democrats will flip those states back into their column anytime soon. Charles Krauthammer said that the speech wasn’t particularly memorable but it was still important because it sent the message that he still commands a massive army of supporters. That’s totally true. Last year, faux reporters were appalled when then-candidate Trump said that “You know what else they say about my people? The polls, they say I have the most loyal people. Did you ever see that? Where I could stand in the middle of Fifth Avenue and shoot somebody and I wouldn’t lose any voters, okay? It’s like incredible.” While he said it rather inartfully, there’s little doubt that he hasn’t lost much support. President Trump has figured out something that most politicians haven’t. He’s figured out that keeping his biggest promises engenders steadfast loyalty. Until something substantive happens to dramatically change the electorate’s perspective, I’ll continue believing that Democrats will have an uphill fight in 2020. Last Tuesday night, Donald Trump was given a mandate on multiple issues. One of the issues that he received a mandate on was energy. In state after state, especially in the battleground states, Mr. Trump tapped into the frustration felt by blue collar voters. These voters have frequently been classified as angry white voters by the MSM. Whether that’s an intentional mischaracterization or whether it’s a simple mistake, it isn’t accurate. These voters told the nation that they were tired of Democrats hurting coal mining by constantly siding with the environmental activist wing of the Democratic Party. In Rust Belt state after Rust Belt state, voters voted Donald Trump in overwhelming numbers. While there aren’t exit polls highlighting this statistic, there’s a different yardstick to measure that mandate. It’s called voter turnout. In the Great Lakes states, the proof was obvious from the start of the night. Another mandate that voters gave to Mr. Trump and Republicans was on the issue of health care reform. Here in Minnesota, Republicans increased the size of their majority in the House of Representatives and flipped the Senate because of the MNsure/ACA crisis in the state and because of increased turnout in rural Minnesota thanks to Donald Trump. Another way of judging the size of the mandate is that Trump won 30 of the 50 states. Of the battleground states, Mrs. Clinton won 3 (New Hampshire, Nevada and Virginia) states with a total of 23 electoral votes while Mr. Trump won 6 (Wisconsin, Michigan, Ohio, Pennsylvania, North Carolina and Florida) with a total of 108 electoral votes. President Trump will implement his policies because Democrats are in disarray and because the issues he’s fighting for are popular. Think of it this way. Would you want to be one of the 9 Democratic senators in states that Trump won after voting against fixing the ACA? There’s a term for that. That’s called political suicide. The big story from Tuesday night was that Republicans pretty much had their way with Democrats once the urban votes were counted. Donald Trump was on the verge of victory seemingly for hours. Minutes ago, he won Pennsylvania, officially giving him 278 electoral votes. That’s without adding Arizona’s 11 electoral votes (Trump leads there 49.7%-45.4%) and Michigan’s 16 electoral votes (Trump leads there 48.1%-46.8%). If Trump wins those states, that puts him at 305 electoral votes. Though Trump’s victory was the night’s biggest news, it wasn’t the only good news for Republicans. At this point, Republicans have lost a net of 1 seat in the US Senate with 2 races heading for runoffs. That gives Republicans a minimum of 51 seats in the Senate. Add to that the fact that Republicans easily held onto their majority in the House and you’ve got a banner night for the RNC and America’s blue collar workers. This means that Merrick Garland won’t be confirmed as the next Supreme Court justice. In fact, the next question will be whether President Obama pulls the nomination or whether Garland withdraws his name from consideration. Throughout the night, commentators kept saying that Trump had a path to victory but that it was a narrow, uphill path. After Trump won the must-win states of Florida, North Carolina and Ohio, those commentators said that Trump had done what he had to do before mentioning the fact that Mr. Trump hadn’t yet penetrated the Democrats’ Blue Wall. That commentary disappeared when Wisconsin fell. Suddenly, those commentators realized that Mrs. Clinton was on the defensive. They realized that she was suddenly in the position of needing to run the table to win the White House. The incoming Trump administration and the Republican House and Senate now have a mandate to get things done. 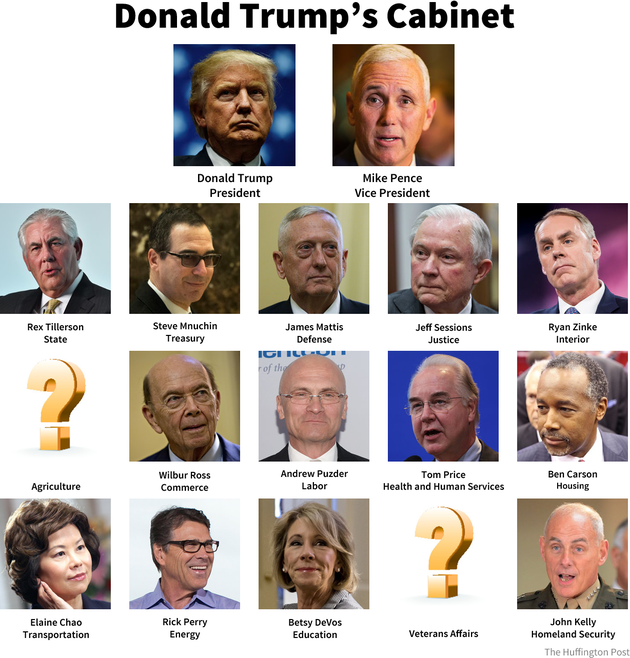 The first 100 days of the Trump administration figure to be busy. They’ll have to nominate the man or woman who will replace Justice Scalia. They’ll want to work with Congress on building the wall. Hopefully, they’ll repeal and replace Obamacare. They’ll want to get started with reforming the tax code, too. Those things wouldn’t have been possible if not for the Republicans’ big night on the nation’s biggest stage. This article raises an interesting possibility. They’re raising the possibility that Colorado might give their electoral votes to Donald Trump. What caught my attention was the opening paragraphs of the article. FYI- This reporting is being reported by the Denver Post. Obviously, it isn’t important if Mrs. Clinton wins Florida or North Carolina. Based on the last polls, it’s definitely possible for Mrs. Clinton to win those states. I don’t think it’s likely that Mrs. Clinton wins both states but it’s possible. If Trump sweeps Florida, North Carolina and Colorado, though, something that’s viewed as possible, then holds the other red states, Trump’s president-elect. If I had to guess, which is all that anyone can do at this point, I’d predict Mrs. Clinton winning but by a razor-thin margin in a hand-full of battleground states. Still, I’d be lying if I said Mr. Trump doesn’t have a path, albeit uphill, to victory. The prediction that I won’t hesitate in making, though, is that Mrs. Clinton won’t have a governing mandate. Mrs. Clinton’s chief campaign message has been that she isn’t Donald Trump. She’s run a personality-driven campaign that’s been essentially substance-free. Yes, she’s played Santa Claus with free college tuition in her attempt to win over Bernie Sanders’ voters but nobody thinks she’s stupid enough to push that initiative except during the mid-term elections. This marks the first significant, sustained ad buy by Mr. Trump. He’s within striking distance or ahead of Mrs. Clinton in most battleground states, including in the states listed above. It isn’t just the size of the ad buy, though, that should frighten Mrs. Clinton. It’s that he’s connecting with voters that she isn’t connecting with. Specifically, he’s connecting with blue collar workers, especially in Michigan, Ohio and Pennsylvania. He’s leading in Ohio. It’s close in Michigan. It’s extremely close in Pennsylvania. Thanks to these ad buys and the tight races in those states, Mrs. Clinton will have to play defense in these states. We’ve seen that she isn’t that adept at playing defense. It should frighten Mrs. Clinton that the states where she’s on defense in is expanding. The question that’s now on the table is whether these ad buys will break through Mrs. Clinton’s firewall. At this point, that’s a distinct possibility. If she’s playing defense in that many Rust Belt blue collar states, she’s got a real fight on her hands. This ad buy will make the closing push extra-interesting. I’m certain this isn’t what Mrs. Clinton wanted. Everyone knows that Donald Trump’s ego won’t let him admit that he isn’t winning or that the latest poll doesn’t have him in the lead. The latest spin from Trump’s campaign attempts to make it look like he’s leading. Saying that the devil is in the details fits the Trump campaign’s latest take on this week’s Fox Business poll. There’s a reason why Trump isn’t holding multiple rallies each day in Wisconsin and why Trump is only calling into the national radio talk shows. Democrats hoped to flip either Kentucky (unlikely IMHO) or Georgia. Those states are still tight but the Democrat hasn’t led since mid-summer. Then they hoped Kansas would flip. That’s now slipping quickly away. Democrats hoped Colorado and Iowa would be their firewall. They’re trending away from Democrats. The trend isn’t the Democrats’ friend in at least half a dozen states. That’s how you lose a senate majority. From a macro level, Republicans did a great job recruiting candidates. Cory Gardner, Tom Cotton and Joni Ernst will be impressive senators if/when they’re elected. At this point, Republicans should win the Senate as long as they keep working hard and they avoid gaffes. This isn’t a comprehensive list of races where Republicans stand to flip seats. Still, it gives people insight into how things are trending. In the WMUR/UNH survey released Thursday night, Shaheen led Brown by 46 percent to 44 percent, which is within the poll’s margin of error of plus or minus 3.4 percentage points. This latest numbers show a dramatic swing in Brown’s direction from the previous WMUR/UNH poll, which was conducted a month-and-a-half earlier and showed Shaheen leading Brown by 12 points. In a statement released after the survey’s results were released, Shaheen campaign manager Mike Vlacich said that the incumbent has been “ready for a competitive race since day one. Jeanne Shaheen is still leading all of her potential opponents because Granite State voters know and trust her,” he said. The first question I’d ask Mr. Vlacich is pretty straightforward: If New Hampshire trusts her, why aren’t they showing it? Going from a 12-point lead to a 2-point lead isn’t how people normally express confidence in a candidate. Conventional wisdom says that Republicans don’t have to defeat Shaheen to retake the majority in the Senate. It’s thought that Democrats can’t maintain their majority if they lose Shaheen’s seat. At this point, I’m thinking a Brown victory over Shaheen would be nice icing on the GOP’s cake. Similarly, while I’m not predicting anything at this point, I’m thinking that winning 8 seats is possible for the GOP.